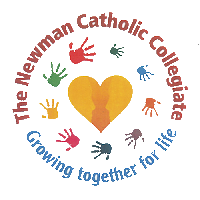 is a partnership of nine Catholic academies in North Staffordshire, part of the Archdiocese of Birmingham, under the patronage of Bl John Henry Newman. Our priority is to help students to know Jesus Christ, his mission and his Gospel, which forms our way of living. We commit to work together so that each academy, respecting its own unique character, will offer outstanding Catholic education. Our shared vision of life respects the uniqueness of all students, supporting their families, engaging them in their communities, and offering them unconditional love, so that they may achieve their potential and live life in its fullness. To achieve this, across our academies, we will know one another, offering each other encouragement and active support. Our Lady of Grace takes every opportunity to work with the pupils within our partner schools as we recognise the importance of providing a continuum of Catholic education from a child’s early years, all the way through to post-16 education. Activities across our family of schools include pupils in years 4, 5 and 6 attending masses celebrated at St Margaret Ward. We organise a range of sporting activities both within the primaries and St Margaret Ward site. Children in years 5 and 6 regularly attend lessons at St Margaret Ward in preparation for year 7 and are frequent visitors as audiences for school shows. This extensive range of activities, together with our carefully designed transition programme, ensures smooth progress from primary to secondary school and offers children and parents security and consistency.